WANT SOME VALUABLE FREE AF STUFF? I'm Christie Bailey. 2 years ago I left my job in corporate software sales to start my own online business coaching business. And one of the very first problems I ran into? Which as you can imagine, meant I wasn't earning the income I needed for my business to survive. 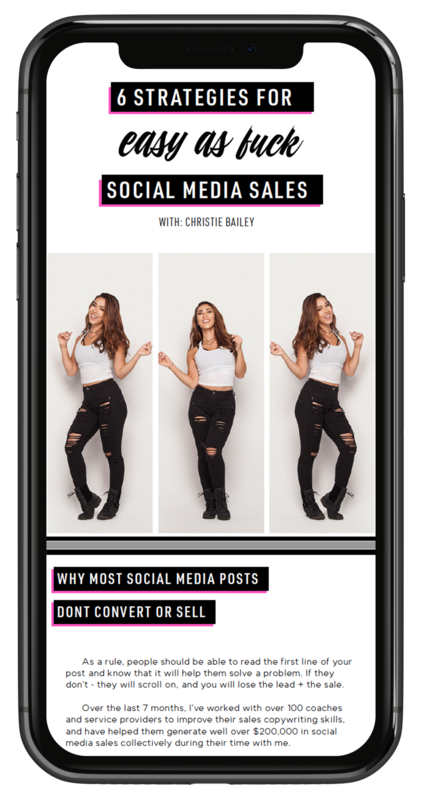 I've created this PDF guide to show you my five core strategies for selling authentically and effectively, on social media. Without the sleaze. YES I WANT THE GUIDE!